Svanehøj deepwell cargo pumps have proven their reliability for more than 50 years at sea. All the benefits of the existing larger Svanehøj deepwell cargo pumps have now been attributed to the Svanehøj ECA Fuel Pump. 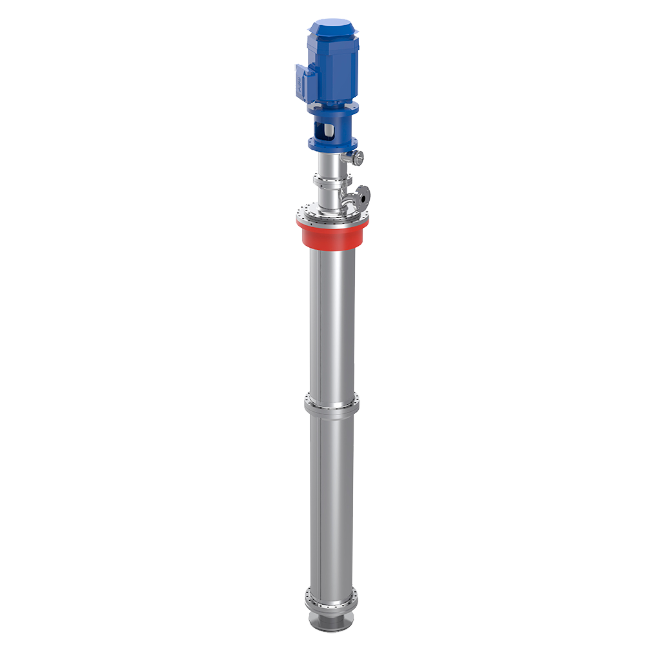 The Svanehøj ECA Fuel Pump (EFP) offers the advantages of no tank connections below liquid level, no electrical components inside the tank and hardly any contribution to Boil Off Gas generation. It is independent of weather, sloshing and thermal conditions and ensures a steady, reliable fuel gas supply with a fast response time. The EFP model was developed in close cooperation with designers of LNG fuel gas systems to support highly efficient, environment friendly LNG fuelled engines driven by the implementation of Emission Controlled Areas (ECAs). It is also prepared for other fuel types such as Ethane and Methanol. A fuel pump operates in conjunction to the engine load and is also highly influenced by the pressure in the fuel tank. A fuel pump therefore does not have one single duty point, but a duty area as illustrated above. The fuel pump must deliver the correct pressure at a fast response time for any point within the duty area. The product range of the Svanehøj EFP give you the flexibility to select the right pump solution for your particular project. Fuel pump control is directly related to the engine load. As the pump should deliver the right pressure/flow over the entire engine load range it will periodically operate at duty points where pump and motor have a low efficiency. 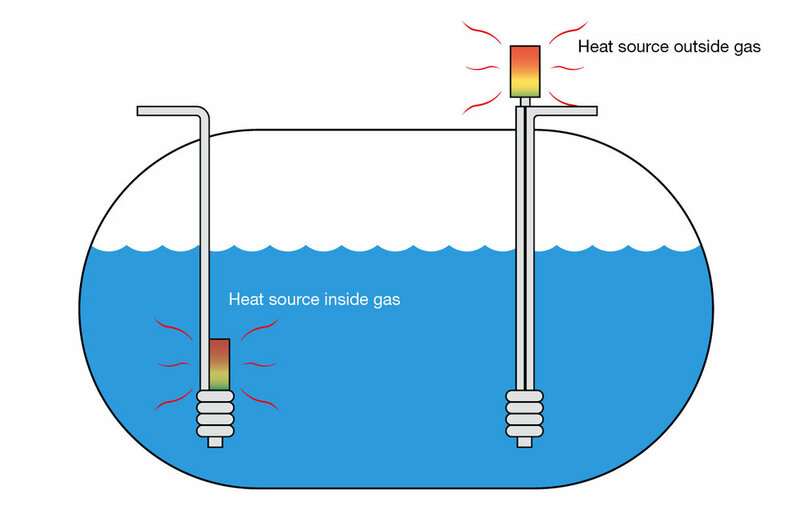 If the electric motor is installed inside the fuel tank in some situations a low efficiency duty point induces up to 70% of electric energy losses, heating-up the LNG and increasing Boil Off Gas and the tank pressure. The Svanehøj EFP has the electric motor located outside the fuel tank which eliminates that source of excess heat and pressure. The Svanehøj EFP is based on well proven technology used on gas carriers for decades. We have designed a hermetically sealed pump without any sophisticated bearings or exotic materials, using standard ball bearings that ensure a long service lifetime. Service intervals are 25,000 operating hours, or every 5 years. Service Area 1: Electric motor and magnetic drive can be serviced at any time. Service Area 2: By activating a static seal, the system can be purged and axial bearings can be accessed. Main bearing and inner magdrive can be serviced. 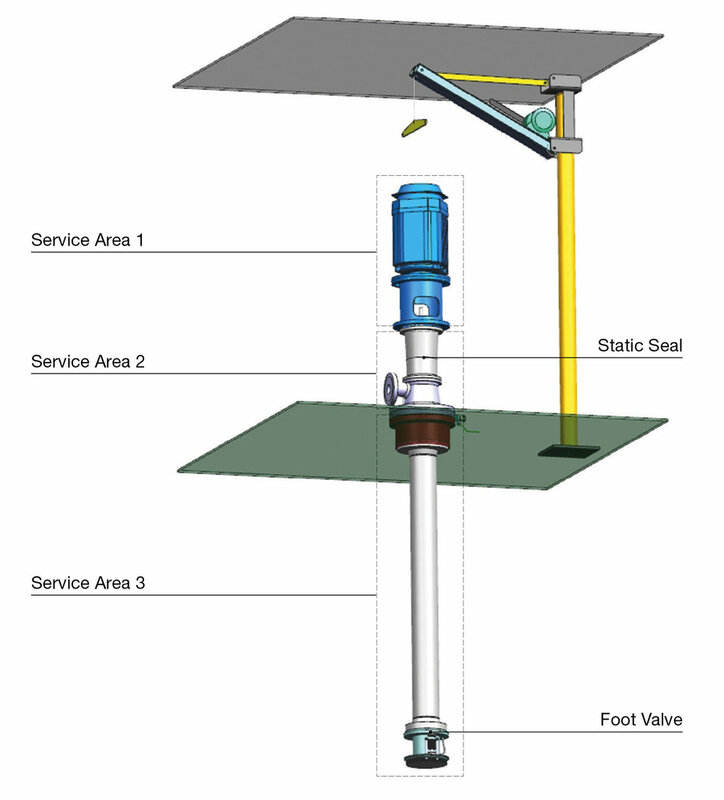 Service Area 3: By activating the foot valve, the system can be purged and the pump can be retracted in handy sections of less than 1 metre. This provides unique service possibilities and ultimate peace of mind. Your fuel supply is also secured and can easily be restored in case of emergency.